Oatmeal Cookies for Boobies! - Nekaro & Co. 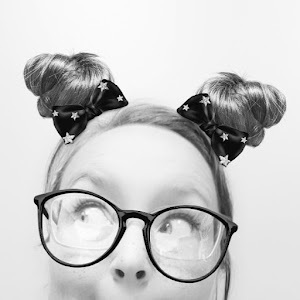 I've breastfed all my children, although I had to return to my un-pump friendly job with my first daughter and was only able to breastfeed her for a few months. I was so much younger and did not really have many resources available. Now there is an abundance of information from books to websites to groups on Facebook. One thing I've found helpful is recipes to help maintain or boost a mother's milk supply. So far we are doing just fine, but it never hurts to know a few tricks should the need arise. The easiest thing I thought I could do was take some Fenugreek. I bought a bottle at the local Rite-Aid for $9. There are a few issues I have with taking this though. For starters, it is not a small capsule. I've always had problems swallowing pills so this was inconvenient. According to tons of websites/groups, for fenugreek to be effective you are supposed to take three pills, three times a day. Holy pills, Batman! That is way more pills than I would be comfortable taking in a 24 hour period. Though you can take less if... your sweat starts to smell like maple syrup. Oh and your pee too! If you make it to this milestone then apparently you are taking the correct amount of fenugreek to help boost milk production. While smelling like maple syrup is not a bad side affect, I am still not able to move passed taking nine pills a day. Solution? COOKIES!!! 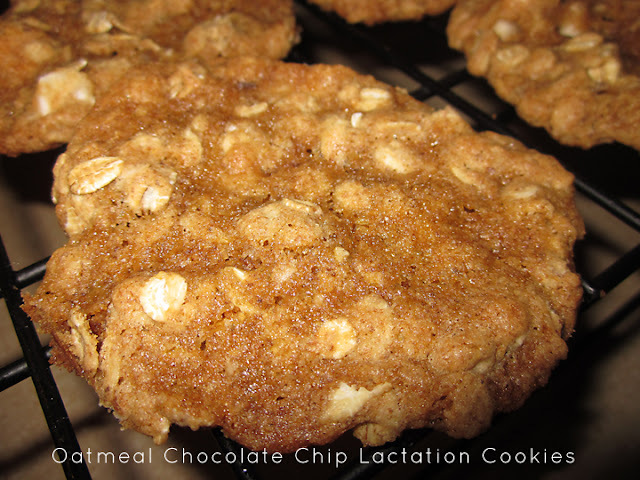 Oatmeal chocolate chip lactation cookies. You can find recipes everywhere. You can even order cookies from places like Milk Makers and Yummy Mummy. For me, ordering cookies seemed a little too pricey. I am a stay at home mom so there was not any reason why I could not bake my own. I adapted a recipe that I found in various different places around the web. -Mix the flax seed and water then let sit for 3-5 minutes. -Beat together the butter and both sugars, then add eggs, mix well. -Add flax seed mixture and vanilla to the butter/sugar mix, beat well. -In a separate bowl, mix together flour, fengreek OR yeast, baking soda, and salt, mix well. -Add the dry ingredients to the butter/sugar mixture. -Stir in oats and chocolate chips. -Scoop onto baking sheet, bake for 12 minutes. To start out, I only made two dozen because I wanted to try them before I made 54 cookies. I could not find brewer's yeast. It was extremely elusive so I used my fenugreek instead. It gives an added maple flavor. Since they are capsules and not pills they are easily opened and dumped into the mixture. I only added the amounts for the brewer's yeast in case you can find it in your area. I know it is not the healthiest recipe on the block, but IT IS A COOKIE! Both brewer's yeast and fenugreek tend to be a bit bitter so all that sugar covers it up nicely. You only need to eat one or two a day to help with your milk supply. A bonus is that you can just omit the fenugreek and everyone can eat them! And they are so very good! It was hard to only eat a couple. The recipe can be changed up to add things like raisins, nuts, or even peanut butter chips. The options are really endless. This totally beats taking a million pills everyday!